The Yakovlev Yak-50 is a single-seater aerobatic low wing monoplane with retractable landing gear with tail wheel. Development of the Yakovlev Yak-50 started in 1972 based on the single-seat Yak-18PS. The Yakolev 50 was designed by the Yakovlev Design Bureau. The first of two prototypes built was flown first in 1972. After a series of modifications and a considerable amount of testing the Yak-50 was put into production at Arsenyiev in the Russian Federation as a duraluminium skinned semi monocoque airframe and deliveries started early 1975. The Yak-50 proved its aerobatic versatility and worth at the 8th World Aerobatic Championships in 1976. Yak-50's ended first, second and third in the men’s championships, took the top five places in the women’s competition and the overall men’s and women’s team prizes. The Jak-50 airplane is equipped with a 360 hp Ivchenko Vedeneyev M-14P nine cylinder, air-cooled radial piston engine. When production ended in 1985 a total of 312 were built, of which the vast majority were for the Russian DOSAAF Clubs. 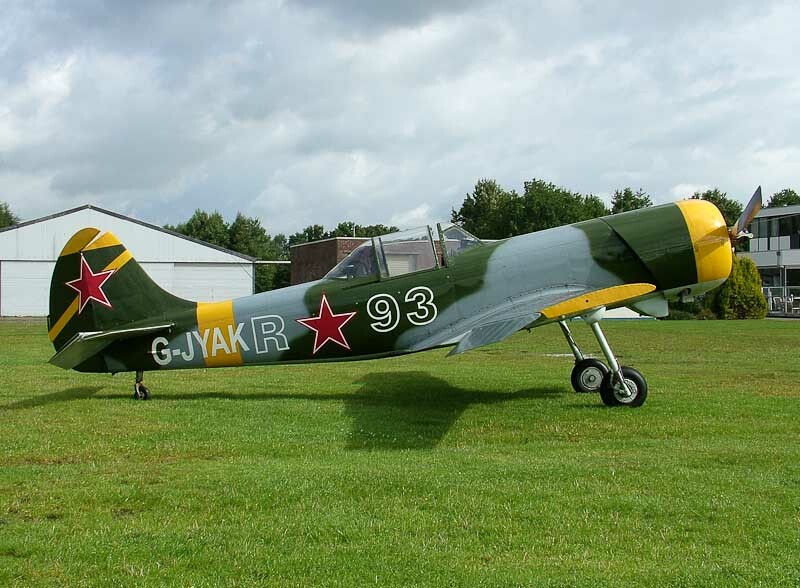 With the introduction of the Yak-55, Moscow instructed all DOSAAF Clubs to scrap the Yak–50s and return the logbooks to Moscow, with the result that there are less than sixty Yak-50s left in the world. On 26 August 2005, the UK-aerobatics formation Aerostars visited Hoogeveen airfield on their way from the UK to Norway. Aerostars is the largest civilian formation aerobatic team in the world and is equipped with Yakovlev YAK-50 and Yak-52 aeroplanes. The 1985-built Yakovlev Yak-50 G-JYAK (ex RA-01493) was one of five Yakovlev YAK-50's seen during this visit.